The first settlements in the area which is now Nice, date back 400,000 years. Nice was created by the ancient Greeks. In the 1st century BC, the Romans made the settlement a provincial capital, which remained so until continued attacks by various invaders during the 3rd to the 10th centuries forced the settlers closer to the sea. Control of Nice passed through many hands from the French King Louis XIV to the new French Republic to the Italians and then back to the French. This constant change in powers lasted nearly 400 years during the 18th century. During the 19th century Nice started to attract artists, such as Chagall and Van Gogh; and rich holiday goers that included the aristocratic English classes who transformed Nice's seafront with a promenade and the building of huge houses. 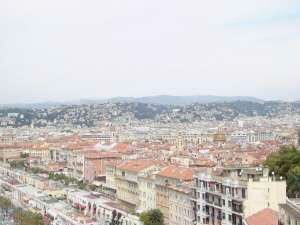 In the modern times Nice has been occupied by Italy during the Second World War too.Nowadays, Nice is a highly sought after holiday destination and is known as the capital of the French Riviera.